There’s been much talk in the art world during the past decade about the rise of the curator as artist, a figure who in her or his most overweening moments seeks to render artist and artwork secondary to the vision — or, at worst, predetermined program — for a particular exhibition. MFAs in curatorial studies are proliferating, and celebrity curators have become as powerful, influential, and famous as artists always have been, as collectors have become, and as critics once were. However fashionable of late, the curator as artist existed decades earlier in the figure of Harald Szeemann, partly as a result of his radical approach to Documenta 5 in 1972, where he initiated a multi- and inter-disciplinary format that continues to this day. International in a way that doesn’t feel like a checklist, and with clusters of strong work from the Middle East, the exhibition includes a couple hundred artists working in all media; alongside more conventional art forms, there are anger managements workshops (Stuart Ringholt), hypnosis sessions (Marcos Lutyens), gardening (Claire Pentecost), a fashion show (Seth Price), a playground for dogs (Brian Jungen), helicopter rides (Critical Art Ensemble), performances by adults with Down syndrome (Jérôme Bel) and a somewhat tongue-in-cheek healing center with therapy rooms and juice bar (Pedro Reyes) … to name just a few. 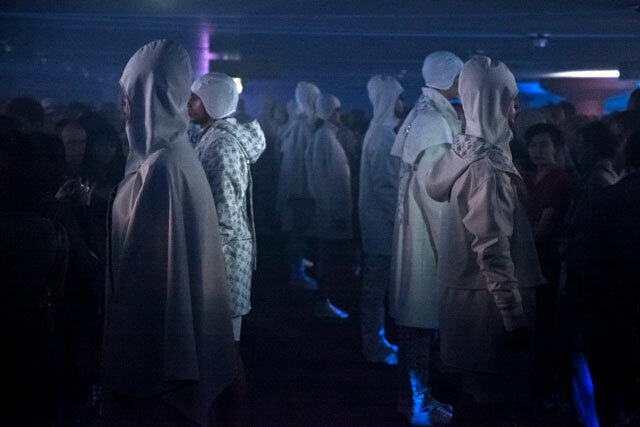 Christov-Bakargiev’s summary buzzword for the exhibition is “worlding” — a fusion of interconnectedness and the ability of art’s material properties to slow down time and bring the present into sharper focus. Although this sounds a bit Buddhist, it’s actually closer to environmental science, and Documenta is filled with science-aligned projects, as are Christov-Bakargiev’s press release, catalogue contributions and public comments. At a “Black Box” event I attended in which artists and scholars were asked to comment on items in Kassel’s Cabinet of Astronomy and Physics housed in the Orangerie, she subtly chastised participants for not being scientific enough. Whatever Christov-Bakargiev’s own scientific credentials, this year’s Documenta acquires a distinctive quality from its excursions into ecology, genetic research, animal studies and political economics. For instance, Tue Greenfort’s installation in a former swan hut located in one of the most distant parts of the exhibition contains a digitized and physical archive of books, images and art videos related to writings on interspecies relationships by Documenta 13’s “honorary advisor” Donna Haraway, while e-flux (Julieta Aranda and Anton Vidokle) brought its traveling Time/Bank to Kassel, where visitors pay for services not with money but with their own reciprocating time and services. Not uncoincidentally, one of my favorite pieces in the entire exhibition isn’t produced by an artist, but by Alexander Tarakhovsky, professor and laboratory head at New York City’s Rockefeller University. In the Fridericianum, Documenta’s central exhibition venue, Tarakhovsky presents an installation featuring the results of his research into environmental influences on gene expression. 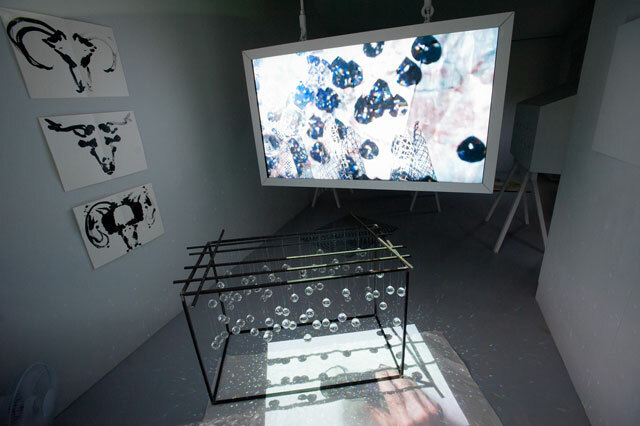 DNA sequencing of genes affected by fear (2012) is a video projection of shifting and quivering white dots on a black background, visualizing the relationship between emotion and genetic transmission. It could also be a map of the night sky. 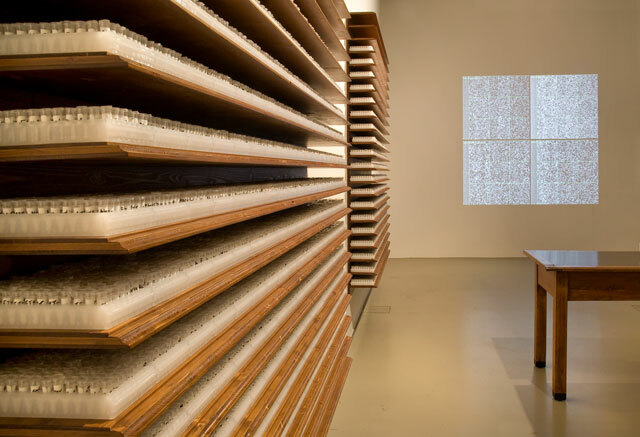 Nearby, in a display that’s a bit reminiscent of Damien Hirst’s science and pharmaceutical cabinets, although much less slick, 80,000 plastic tubes in neat rows contain small slips of paper transcribing 60,000 genes. A more interactive component in the center of the room involves DNA processing and provides samples for visitors to take home. As a whole, the installation asks for multiple levels of engagement in its striking and thoughtfully crafted demonstration of cutting-edge relationships between the external environment and the body’s deepest interiors. Yet Tarakhovsky’s room also points to some of the inherent problems in the overall exhibition. From the work selected and, more specifically, from its curatorial and discursive framework, it would seem that Christov-Bakargiev wants to treat art less as an aesthetic, ideological, political or even cultural object, and more as a cognitive one. Of course the latter entails each of the former, but to treat art as a kind of positivist knowledge system isn’t exactly playing to its strengths. The Ottoneum building is given over to ecological projects, but after scrutinizing the seeds, aquariums, dioramas and soil sculptures, I began to think that it might be better to leave the science, à la Tarakhovsky, to the scientists, which isn’t — obviously! — to say that artists (or critics, scholars and curators) shouldn’t be interdisciplinary and politically engaged and critically informed and collaborate with NGOs, but that when a short Wikipedia entry conveys more information than a relatively straightforward documentary-based art project, maybe this isn’t always the ideal use of effort and resources. Instead, the works that made the strongest impression on me — which, with such a massive exhibition, is contingent on time constraints, fatigue factors, blood sugar levels and the ability to use a map to find art scattered across multiple venues, temporary sites and the enormous Karlsaue park — were ones that work with alternative knowledges, dream logics, uncertain histories and the creative production of new and perhaps imaginary information. If this sounds like Romanticism, it’s not. When most everything in the world can now be bought and sold, including, eventually, most of the art on display at Documenta, the imagination and desire are among the few remaining unpredictable, and therefore unquantifiable, human capacities, even if every possible attempt is being made by commercial and ruling powers to harness and coopt them. In the Karlsaue, a small white cottage contains a video installation by Joan Jonas embedded in each of its exterior walls. Videos of fish, brush painting with a stick, a trip through the Southwestern United States, dance and movement mixed with mirrors, small conical sculptures, visual distortion, sound and text make Reanimation (In a Meadow) (2010–12) an uncanny and at times hallucinatory examination of what it means to not be at home while at home in the world. Although visitors can’t go inside, Jonas’s cottage looks almost cozy. Similarly, Walid Raad, whose work first came to widespread attention at Okwui Enwezor’s 2002 Documenta, has impeccably installed a surprisingly large (for Documenta) mini-retrospective of his post-Atlas Group investigations into the history of twentieth-century Arab art. One of the most coveted tickets in Kassel during opening weekend was Raad’s accompanying talk-performance within his gutted and freshly painted black-wall-and-ceiling exhibition space. He began by analyzing some of the shadier aspects of the Artist Pension Trust before seguing into a discussion of madness, telepathy and artworks taking on a ghostly formal life of their own. By downplaying art’s aesthetic component and perhaps overplaying its cognitive one, Christov-Bakargiev and company don’t present a lot of work that’s particularly great to look at. (It may be an unintentional irony that a set of small Bactrian Princess figurines from Central Asia circa 2,500–1,500 BCE received praise from both critics and visitors alike as among the most interesting aesthetic objects in the show.) But more importantly, by creating very little opportunity for dialogue among the various knowledges and discourses (and artists et al. 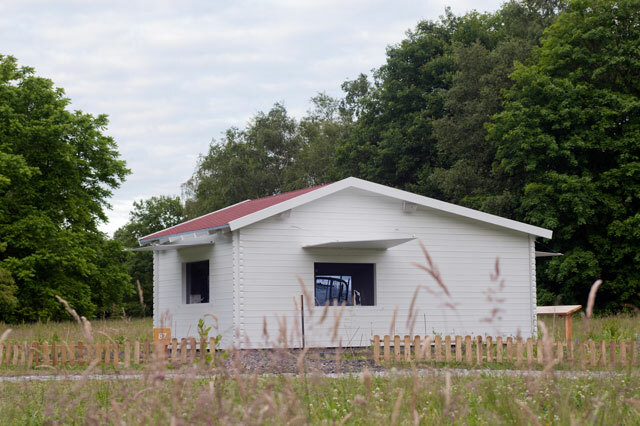 ), the exhibition puts them in competition, however inadvertently, with Documenta’s inherently scattered layout turning visual artists, thinkers, scientists, activists and performers into isolated islands. The effect is a bit like the Tower of Babel after the builders have been dispersed, each with a separate story to tell about disappointment and hope (the exhibition admirably balances both — contrary to reports about it being a sad or post-traumatic Documenta). 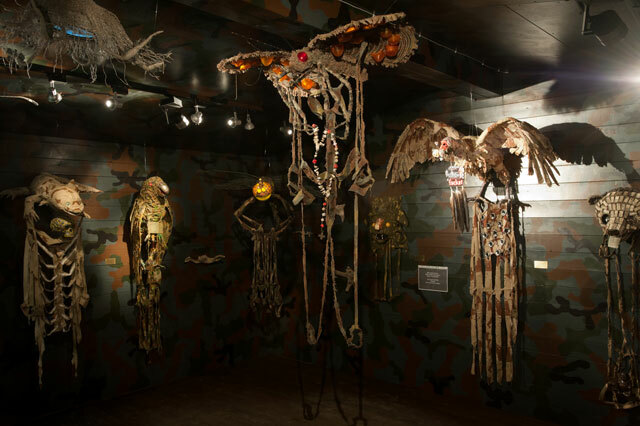 Fiona Hall’s haunted cottage in the Karlsaue is a mini-natural history museum of endangered animals with skins and feathers fashioned from the camouflaged uniforms of various national armies (Fall Prey [2009–12]). In Hall’s version of “worlding,” animal and human blend in maladjusted adaptation with militarism, apocalyptic defiance, and the threat of extinction. This is the real politics — discontented and necessarily so — that Documenta 13 puts on display. Documenta 13 continues in Kassel, Kabul, Alexandria/Cairo and Banff through September 16.